Research in our laboratory is focused on understanding the flow of biological information from the DNA level to the complex traits. 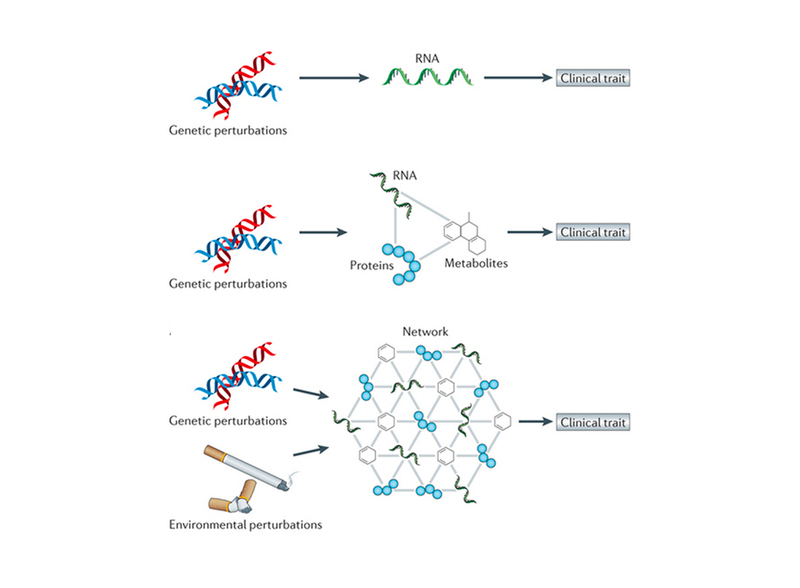 We study the association between DNA variation and environmental perturbations on intermediate molecular traits, such as transcripts, proteins, and metabolites. So far we have examined three different populations for various clinical and molecular traits. We are studying aortic endothelial and smooth muscle cells from heart transplant donors for variation in cellular phenotypes that are relevant to the development of atherosclerosis, variation in transcript levels, and variation in their DNA sequences. We are studying the adipose tissue biopsies from participants of the Metabolic Syndrome in Men (METSIM) study that is being conducted in Kuopio, Finland. This population is extensively characterized for metabolic traits that are relevant to the development of metabolic syndrome and Type 2 Diabetes. We have measured the DNA variation, mRNA and microRNA variation and studied the genetic regulation of the transcript variation. We are working on understanding how several candidate genes identified in this study are affecting metabolic traits. We are studying the adipose tissue biopsies from a well-characterized mouse population called the Hybrid Mouse Diversity Panel. We are using this information to better understand the gene networks dysregulated in metabolic syndrome. 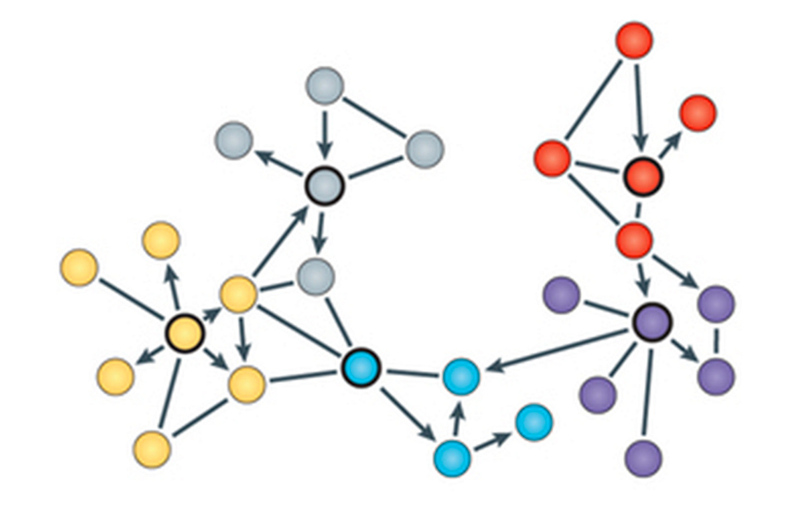 Our goal is to create a map of regulatory networks on the basis of natural variation in human populations. 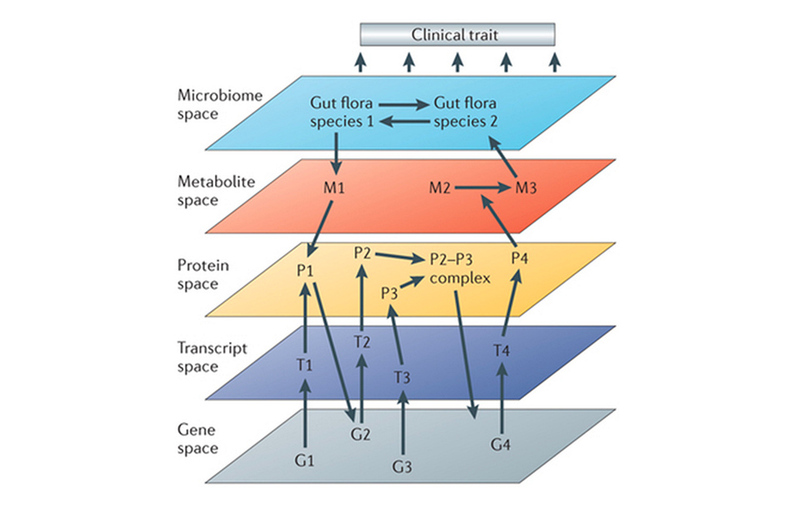 We aim to identify the interactions of molecular phenotypes across multiple biological scales — including genes (G), transcripts (T), proteins (P), metabolites (M) and microbiome. We model biological networks to define the higher-order interactions among molecular phenotypes using both statistical and network-based approaches. Females and males have different patterns of body composition and fat distribution, and these differences may explain some of the differences in susceptibility to disease. The biological basis and mechanisms for these differences remain unknown. 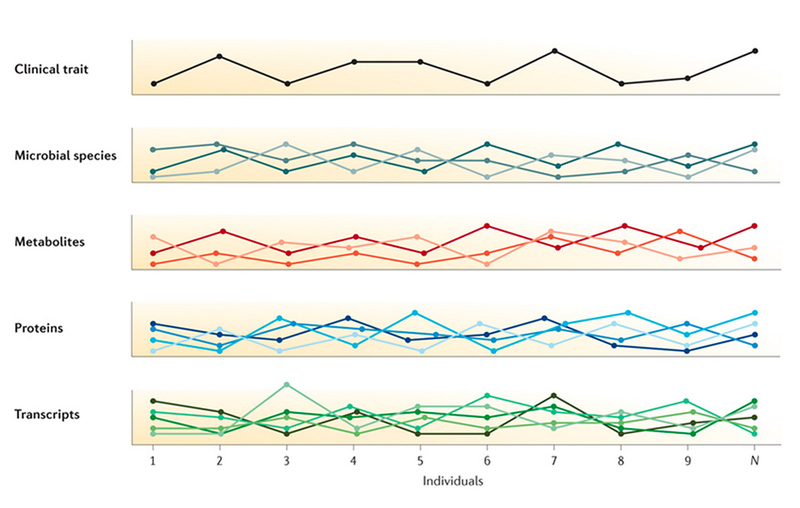 In this project, we aim to identify (1) genetic loci that have significantly different effects on subcutaneous adipose gene expression in men and women, (2) gene networks that are differentially regulated in men and women, and (3) differences between males and females in the associations and causal relationships between adipose gene expression and metabolic traits. After the bioinformatics analysis, we aim to test these hypotheses in mouse models of gonadectomy and hormone replacement. In our recent studies, we identified a region on chromosome 7 that is near the transcription factor KLF14 and is associated with the expression level of the largest number of genes in adipose tissue. This genomic locus harbors genetic variants associated with lipid levels, obesity, and type-2-diabetes (T2D) suggesting a significant role in metabolic syndrome for this network of genes. Using bioinformatics approaches, we predicted that the T2D causal variant lies within an adipose-specific enhancer upstream of KLF14 and its effects appear to be adipose-specific. In this project we will functionally study this locus to identify the upstream regulators of KLF14 and the downstream consequences of KLF14 regulation. We will use in vitro models of KLF14 degradation and activation to perform ATAC-Seq to discover regions that are regulatory and PRO-Seq to discover nascent RNA production in response to changes in KLF14 levels. Recent genome-wide association studies identified nearly 200 genome-wide significant and suggestive loci for Coronary Artery Disease (CAD). Very few of these loci coincide with known risk factors, such as lipid levels and hypertension, suggesting that novel pathways leading to coronary atherosclerosis are yet to be discovered. In this project, we utilize a unique resource that is highly relevant to the study of atherosclerosis. In collaboration with the UCLA heart transplant program, we have already collected aortic endothelial cells (HAECs) and smooth muscle cells (HASMCs) from 150 healthy human donors who have been densely genotyped across the genome. We are currently characterizing the HASMCs for phenotypes relevant to the development of atherosclerosis (proliferation, migration, and calcification). We will also measure gene expression and integrate the molecular and cellular phenotypes to identify how CAD loci perturb the SMC function.